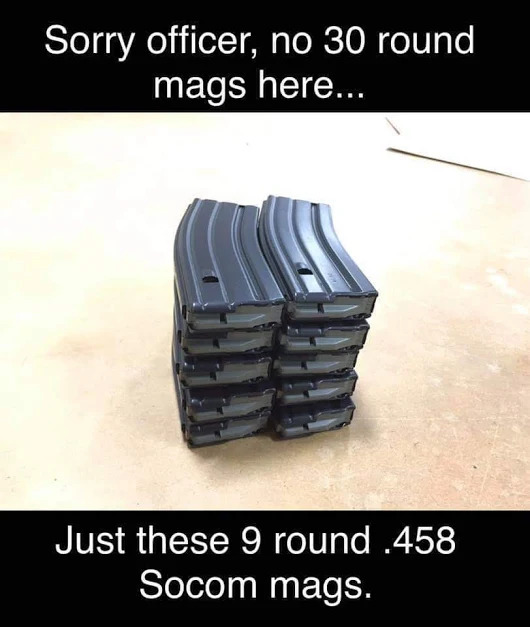 The cops carry high capacity magazines, you'll never see them banned. If these nuts keep pushing they're going to see a push back. I hope they do, there's about a million too many laws on the books and I say we're overdue to wipe them from the record. I suspect high capacity magazines will be next on his list, once he gets his second term... you reap what you sow, I suppose. The dumb bint took an oath to serve and protect the US Constitution. Haha I legit don't even listen to a word she says anymore. how someone can be so wrong on almost every. single. thing.. yet be in congress. and worse, she will always be a noise in politics, even when she ousted.. these sorts never go away. stick to cheer leading sweetheart. No one wants to look at your face when your legs go all the way to hell. Our founders never thought in their wisdom that there would be dumb asses soooooooooooooooo stupid that they would use our Constitution to overthrow our government! I don't think she's even read one word of it. I had never heard of a 458. Just watched a video in them. Thanks! Treason carries the death penalty. Irony dictates it should be by firing squad. Just saying.